Lately Wilf has been returning from nursery with an abundance of christmas crafts, 'he' has made calendars, cards and ornaments, they even did some baking the other day. It has made me realise quickly that he is finally is at an age when he can really enjoy craft activities and has given me a little push to do some more at home (mostly painting at the moment if i'm honest). My friends and I have decided that in the new year we will have a weekly craft meet as each other's houses so we can all get messy without it being too much of a stress or palaver. It's also reminded me how much I enjoy crafts myself. When I was a teenager I used to save all my pocket money on items from our local art shop, beads, paint, card and pens in all sorts of shades and colours. I still get a little bit too excited about new pens and paints! I was going to make my millions making jewellery, or glass painting, or hand painting designs on T-shirts... It's taken me 28 years to realise this probably isn't the best way to make my living, which is great because I can now do things things simply for the fun of it! 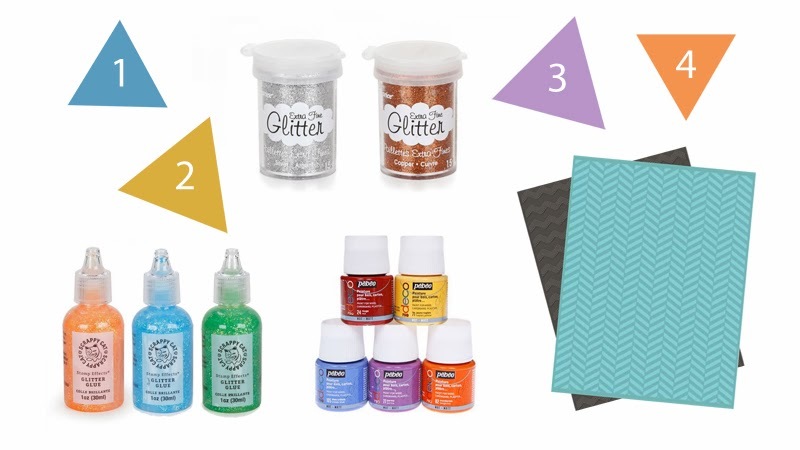 Crafters Companion is a great site for craft essentials. It has a great variety of crafting materials including my favourite paint brand Pebeo, plus they sell the cutest Beatrix Potter and Brambly Hedge stamps and craft making kits. It's also reminded me I really want to give decoupage a go! Oooo I want it all! So good - huge Brambly Hedge fans here so off to lookie! those things look great! its so fun when kids get old enough for crafts! Love the toy box. My grandson would be over the moon. I am scared of crafts - I tend to do them more in the summer when we can do them outside - if a pe gets left anywhere by accident, Eliza is straight away drawing on anything she can see!